The U-2 has prominently featured in several events during the Cold War, at stages of which U-2s commonly overflew the Soviet Union, the People's Republic of China, North Vietnam, and Cuba. In 1960, CIA pilot Gary Powers was shot down while flying a U-2 over Soviet territory. In 1962, a U-2 piloted by Major Rudolf Anderson, Jr. was shot down over Cuba by surface-to-air missiles during the Cuban missile crisis. The U-2 has remained in service since the end of the Cold War and is one of several aircraft types that have been operated by the USAF in excess of 50 years. It has participated in conflicts such as Afghanistan and Iraq, and supported several multinational NATO operations. The role of the U-2 is increasingly performed by alternative platforms, such as surveillance satellites, unmanned reconnaissance drones such as the Northrop Grumman RQ-4 Global Hawk, and conventional aircraft. High aspect ratio wings give the U-2 some glider-like characteristics, with an engine out glide ratio of about 23:1, comparable to gliders of the time. To maintain their operational ceiling of 70,000 feet (21,000 m), the U-2A and U-2C models (no longer in service) had to fly very near their Never exceed speed (VNE). The margin between that speed and its stall speed at that altitude is only 10 knots (12 mph; 19 km/h) below its maximum speed. This narrow window was referred to by the pilots as the "coffin corner", because breaching either limit would likely cause the wings or tail to fall off the delicate plane. For 90% of the time on a typical mission the U-2 was flying within only five knots above stall, which might cause a decrease in altitude likely to lead to detection, and additionally might overstress the lightly built airframe. The U-2's flight controls are designed around the normal flight envelope and altitude at which the aircraft was intended to fly. The controls provide feather light control response at operational altitude. However, at lower altitudes, the higher air density and lack of a power assisted control system makes the aircraft very difficult to fly. Control inputs must be extreme to achieve the desired response in flight attitude, and a great deal of physical strength is needed to operate the controls in this manner. The U-2 is very sensitive to crosswinds which, together with its tendency to float over the runway, makes the aircraft notoriously difficult to land. As it approaches the runway, the cushion of air provided by the high-lift wings in ground effect is so pronounced that the U-2 will not land unless the wing is fully stalled. A landing U-2 is accompanied on the ground by a chase car and an assisting U-2 pilot calling off the angles and declining aircraft height as the aircraft descends. Cars used have been Ford Mustang SSP, Chevrolet Camaro B4C, Pontiac GTO, Dodge Charger Police Package, Pontiac G8 GT, and Chevrolet Camaro SS. Instead of the typical tricycle landing gear, the U-2 uses a bicycle configuration with a forward set of main wheels located just behind the cockpit, and a rear set of main wheels located behind the engine. The rear wheels are coupled to the rudder to provide steering during taxiing. To maintain balance while taxiing, two auxiliary wheels, called "pogos" are added for takeoff. These fit into sockets underneath each wing at about mid-span, and fall off during takeoff. To protect the wings during landing, each wingtip has a titanium skid. After the U-2 comes to a halt, the ground crew re-installs the pogos one wing at a time, then the aircraft taxis to parking. Because of the high operating altitude and the cockpit's partial pressurization, equivalent to 28,000 feet, the pilot wears a partially pressurized space suit, which delivers the pilot's oxygen supply and provides emergency protection in case cabin pressure is lost. While pilots can drink water and eat food in squeezable containers through a self-sealing hole in the face mask, they typically lose up to six pounds of weight on a eight-hour mission. Most pilots chose to not take with them the suicide pill offered before missions. If put in the mouth and bitten, the "L-pill"—containing liquid potassium cyanide—would cause death in 10 to 15 seconds. After a pilot almost accidentally ingested an L-pill instead of candy during a December 1956 flight the suicide pills were put into boxes to avoid confusion. 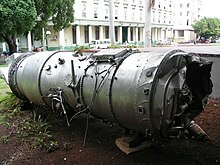 When in 1960 the CIA realized that a pill breaking inside the cockpit would kill the pilot, it destroyed the L-pills and its Technical Services Division developed a needle poisoned with a powerful shellfish toxin and hidden in a silver dollar. Only one was made because, as the agency decided, if any pilot needed to use it the program would probably be canceled. To prevent hypoxia and decrease the chance of decompression sickness, pilots begin breathing 100% oxygen an hour prior to take off to remove nitrogen from the body; a portable oxygen supply is used prior to entering the aircraft. Since 2001, more than a dozen pilots have been reported to have suffered the effects of decompression sickness, including permanent brain damage in nine. Initial symptoms include becoming suddenly unable to read, and disorientation. Factors increasing the risk of illness since 2001 included longer mission durations and more cockpit activity. Conventional reconnaissance missions would limit pilot duties to maintaining flight path for camera photography; operations over Afghanistan included more real time activities, such as communication with ground troops, increasing their bodies' oxygen requirements and the risk of nitrogen bubble formation. The USAF is studying the issue; U-2 pilots now exercise during oxygen pre-breathing. Among other remedies proposed is an increased cockpit pressurization to a 15,000 feet equivalent. In 2013, modifications were initiated under the Cockpit Altitude Reduction Effort (CARE), to beef up the cockpit structure. This will allow the cockpit cabin pressure to be increased from 3.88 psi to 7.65 psi, lowering the cockpit pressurization to a 15,000 feet equivalent. In addition, the urine collection device was rebuilt as part of CARE to eliminate corrosion caused by leakage. The aircraft carries a variety of sensors in the nose, Q-bay (behind the cockpit, also known as the camera bay), and wing pods. The U-2 is capable of simultaneously collecting signals, imagery intelligence and air samples. Imagery intelligence sensors include either wet film photo, electro-optic or radar imagery – the latter from the Raytheon ASARS-2 system. It can use both line-of-sight and beyond-line-of-sight data links. One of the most unusual instruments in the newest version of the U-2 is the off-the-shelf Sony video camera that functions as a digital replacement for the purely optical viewsight (an upside down periscope-like viewing device) that was used in older variants to get a precise view of the terrain directly below the aircraft, especially during landing.